« Swede dreams are made of this ….. 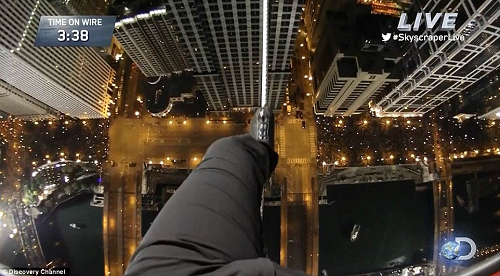 When Steve Jobs met John Sculley …..
Last week, Nik Wallenda crossed the Chicago River by walking across a 500 feet high tightrope between two skyscrapers without a safety net or harness. When asked why he did this, he simply replied, "I love what I do and feel most alive when I do it." Research by the psychologist Dr. Heidi Grant Halvorson reveals that those who succeed in life tend to be very clear on why they want to achieve their goal. The course of their action is far less important than the cause of their action. Halvorson found that the energy and desire that stem from having a powerful "why", and reason for doing something, tend to change one’s perspective of the task at hand. For example, if someone bet you £10 to walk across a ten inch wide, twenty-foot long iron girder that was lying on the floor, I guess that you would have no problem doing it. 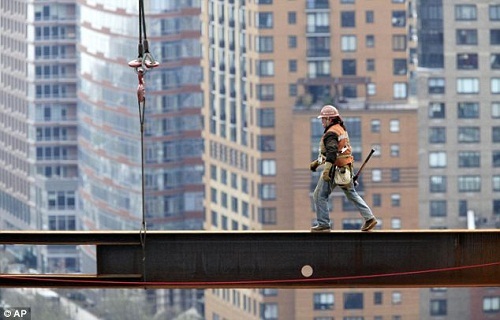 However, if that same iron girder were suspended 500 feet high between two skyscrapers I guess you wouldn’t do it. However, if your child was on the other building and it was on fire, would you walk the length of the girder to save him? Immediately and without hesitation I suspect. It was 1983 and John Sculley had just made Pepsi the leading cola drink in the US, so he had no reason to leave Pepsi. That is until he met Steve Jobs, who was so impressed by Sculley that he decided to hire him on the spot. Sculley was very reticent, until Jobs asked him the question, "Do you want to spend the rest of your life selling sugared water, or do you want a chance to change the world?" Suddenly Sculley had a bigger cause and a bigger "why", so he left Pepsi to become CEO of Apple. 1. A policeman brings a man to the police station and says to the desk sergeant: "We arrested this man beating the living daylights out of some poor guy for no reason at all. What should we charge him with?" "Impersonating a police officer," replied the sergeant. 2. A frustrated father told a work colleague: "When I was a youngster, I was disciplined by being sent to my room without supper. But in my son’s room, he has his own color TV, computer, games console, mobile phone and sound system." "So what do you do?" The father replied: "I send him to my room." 3. A recent study has found that women who carry a little extra weight live longer than the men who mention it. This entry was posted by admin on November 9, 2014 at 6:45 am, and is filled under Sunil Bali, The Art of Awesome Living, The Book of Awesome Humour. Follow any responses to this post through RSS 2.0. Both comments and pings are currently closed.